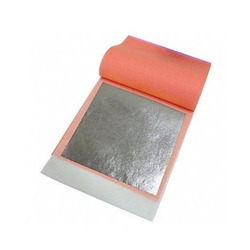 Prominent & Leading Manufacturer from Noida, we offer edible silver leaves and vegetarian silver leaves. Making of these Edible Silver Leaves are done as per the set industry norms and guidelines, using the finest ingredients, it is known to be one of the best in its league. Further, it is known to have a superior taste and a longer shelf life. 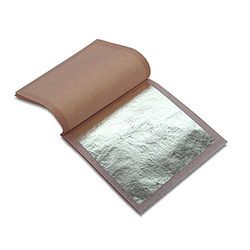 The optimum quality Vegetarian Silver Leaves offered by us are healthy for consumption. Besides, keeping the food bacteria free, it enhances the look and taste of various food items like sweets, ice creams, custard and other sweet beverages. Further, these products are also utilized for religious purposes.